The Xiaomi Black Shark 2 is about to launch soon. This confirmation has been given by Wang Teng Thomas, the programme director of Xiaomi. He said he had seen the device, and that it was very impressive. On Geekbench, the smartphone was codenamed as Skywalker. It runs on Android 9.0 Pie and is powered by Snapdraon 855 processor coupled with 8GB RAM. The Xiaomi Black Shark 2 scored 3,494 points in the single-core test and 11,149 points in the multi-core test. To recall, the original Black Shark was launched in April last year. The smartphone is powered by Qualcomm’s Snapdragon 845 SoC. There are two RAM variants—6GB and 8GB. While the former brings 64GB storage, the latter comes with 128GB storage. There is a dual rear camera setup that comprises of a 12MP and a 20MP sensor. There is a selfie camera that comprises of a 20MP sensor. Connectivity options include WiFi 802.11, Bluetooth 5.0, GPS, USB 2.0. Sensors include fingerprint, accelerometer, gyro, proximity and compass. The Xiaomi Black Shark houses a massive battery of 4,000mAh. To recall, even the Xiaomi Black Shark Helo was also launched last year, during October. This smartphone measures 160×75.2×8.7mm and weighs 190 grams. It sports an AMOLED capacitive 6.01-inch touchscreen with a resolution of 1,080×2,160 pixels. The aspect ratio of the screen is 18:9. 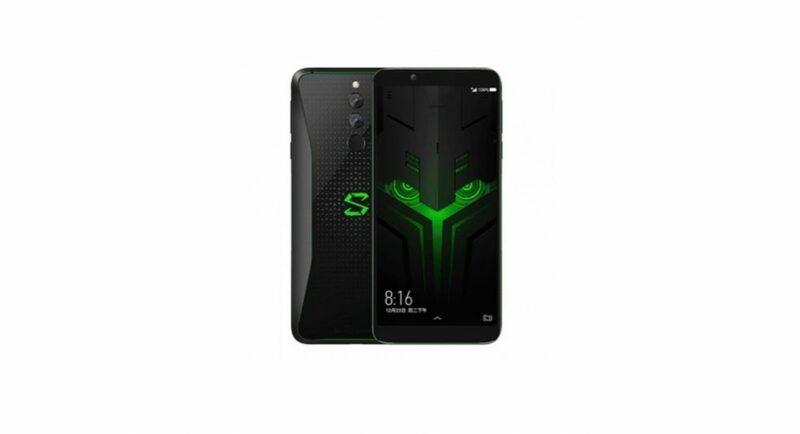 The Black Shark Helo runs on Android 8.0 and is powered by Qualcomm’s Snapdragon 845 SoC. The device comes with a 10GB RAM coupled with 256GB internal storage and another 6/8GB RAM variant coupled with 128GB internal storage. Connectivity options include WiFi 802.11, Bluetooth 5.0, GPS, USB 2.0. The Xiaomi Black Shark Helo is powered by a massive 4,000mAh battery that is non-removable. It provides 9V/2A 18W fast charging. Sensors include fingerprint, accelerometer, gyro, proximity and compass. In terms of camera, the handset features a 12MP and 20MP sensor at the back. Talking about the selfie camera, there is a single sensor of 20MP. The Xiaomi Black Shark comes in a single colour option, that is black.